Obama Strives to Hide Military Layoffs—Until After Election! 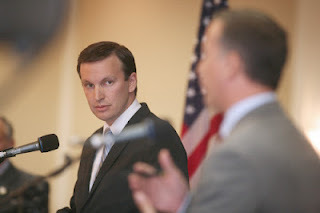 Congressman Chris Murphy’s Campaign Headquarters Delinquent on Property Taxes to City of New Britain! The records of the tax collector’s office (as of 9/14/2012) report that Congressman Chris Murphy’s Election Headquarters is delinquent on personal property taxes owed to the city of New Britain. 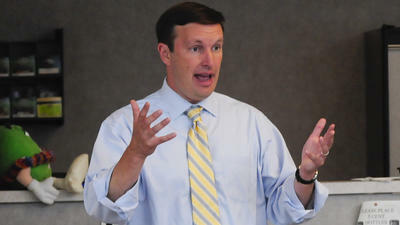 According to the records, “Christopher Murphy Election Headquarters” owed a payment of $58.94 for personal property located at 81 West Main Street. The payment would have been due on July 1st, and has now accrued interest of $2.64, for a total due of $61.58—including the interest due through the end of September. As, Linda would say, "he wants the voters to promote him." Video Asks The Question: How Much More Evidence Does America Need Before It Wakes Up, Or Is It Too Late Already? Obama: All Religions Are Equal…But Some Are More Equal Than Others….. If Obama’s Economy is a Joke, then What is Clinton Lying about Again! The Common Council, during yesterday's meeting, approved a resolution to authorizing the Mayor to execute a contract with Northeast Towers, Inc. for the installation of a Communications Tower Atop The New Britain Police Department New Building at 10 Chestnut Street, City. The original plan was to place the tower atop of the D'Amato Apartment Building however, it was decided by the city council, with another resolution, to replace the D'Amato antenna tower with one being installed at the Stanley Golf Course Maintenance Facility off Hartford Road. 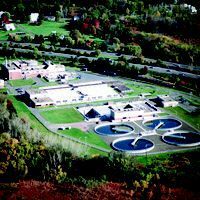 The Police Communications System will have three towers located at the Hospital of Central Connecticut, the water tank on Elam Street and an area adjacent to the Stanley Golf course maintenance facility off Hartford Road. A public hearing will be held for the public to voice their opinion on the golf course antenna location. IT WILL DEVALUE OUR CURRENCY THERFORE, OUR FOREIGN SUPPLIERS WILL RAISE THEIR PRICES TO MATCH OUR DEFLATED DOLLAR WITH THEIRS. Why is the Marxist Beating the Capitalist? 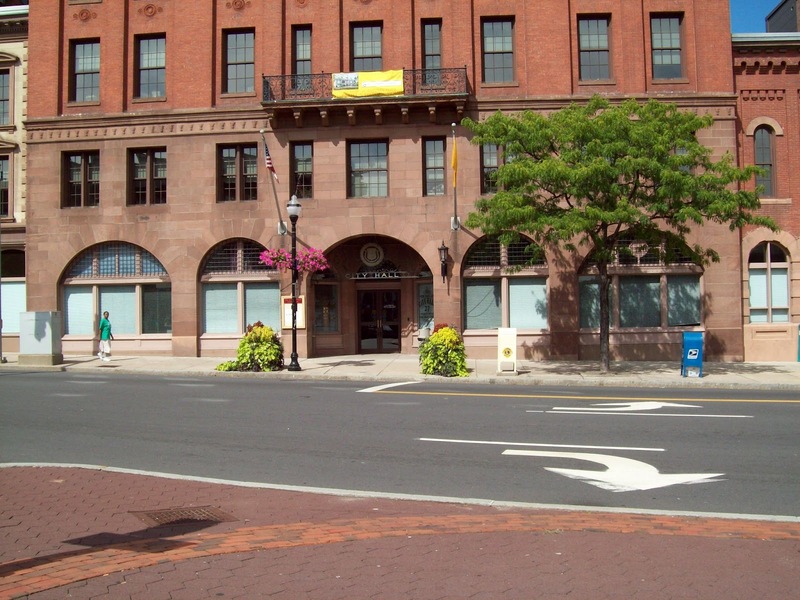 Human Resources Agency of New Britain (HRA) Owes City Over $100K In Property Taxes! 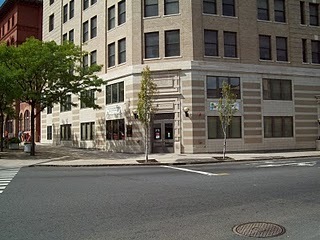 According to the records of the tax collector’s office, as of 9/14/2012, Human Resources Agency of New Britain owed the city $104,361.91 in delinquent real estate taxes for their property at 180 Clinton Street. The original tax payment that was due on July 1, 2012 would have been $99,867.85, plus interest of $4,494.06, making the total due including interest through the month of September of $104,361.91. I bet this will surprise you. Go ahead tell me it isn’t true. How did the lemmings in the Congress know they were voting for something like this when they voted for a bill to become law when they never read the bill. 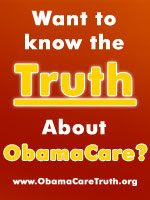 It is also included in the health care law. means of converting conquered remnants to Islam. granted exemption based on this. paying a tax to subsidize Muslims. This is Dhimmitude. I recommend sending this on to your contacts. Another Board of Education Member Owes 2 Years Back Taxes! 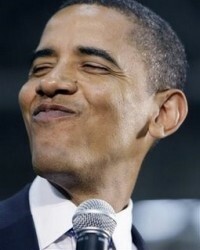 2011 taxes that would have been due by July 1, 2012: $189.74, plus interest of $8.55, for a total of $198.29. Mayor O'Brien's attempt to tax out of town landlords for four million dollars resulted with 18 Landlords speaking against the proposal at a recent planning & zoning sub-committee meeting. Alderman Michael Trueworhty attempted to raise the motion off the table which failed with a 5-4 vote. The Alderman subsequently issued a statement, which appeared in local newspapers, saying that the council has to come up with alternatives in order to fill the budget financial shortfall. What the Mayor's office and council members seem to not fathom is the fact that many owners of motor vehicles continually avoid paying their city taxes until they need to renew their registration. The much needed cash that is not collected from the taxpayer, when due, could be collected promptly by allowing the eight constables to perform the job that the citizens elected them to do by serving tax warrants issued by the city's tax collector. The current system of sending these unpaid taxes to a collection agency that lacks the legal authority to take any enforcement action clearly is not working as even many elected officials and city commissioners seem to simply ignore their collection letters. Tax warrants issued to constables for collection grant the constables the legal authority to levy bank accounts, garnish wages, or to levy personal property including vehicles and even real estate in order to satisfy the debt owed to the city. 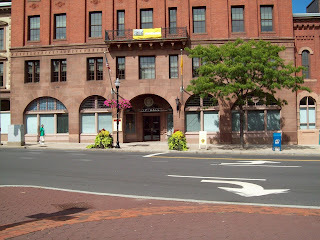 You may recall that when news reports surfaced about New Haven constables seizing vehicles for unpaid taxes, tax delinquents flooded city hall in order to pay their taxes in such a mob that the city was forced to keep city hall open late each evening to accommodate the volume of tax payments. There were several news reports about the lines at the tax office that were stretching out of city hall into the street and even around the block as people paid their taxes to avoid being the next one to have their vehicle seized for unpaid taxes, so clearly the constable system does work. In addition to motor vehicle taxes, it appears that the city does little if anything to collect delinquent real estate or business personal property taxes beyond placing a lien on the property and waiting for possibly many years for the property to be sold in order to collect the back taxes. These are two other areas that the city might experience improvement in voluntary payments if it were to be made known that constables are going to be actively pursuing these forms of taxes as well. Until then, the tax delinquents will continue to fill the city landfill with those seemingly worthless collection agency notices. According to the records of the tax collector’s office (as of 9/14), Nicole D. Sanders is delinquent on her motor vehicle taxes for a 2008 Honda Accord, owing a payment of $419.89 that was due July 1st, plus interest of $18.90, for a total balance of $438.79—including the interest for the month of September. Board of Education Member Hasn’t Paid Motor Vehicle Taxes in 2 Years! According to the records of the tax collector’s office, Board of Education member Carlos Pina Jr. is among the growing list of elected officials and city commissioners that are delinquent on their taxes. Mr. Pina’s total tax liability totals $591.74—including the interest due through the month of September 2012. Mattabassett Chairman 3 Years Delinquent On Real Estate Taxes! If the name William Candelori sounds familiar to you, that might be because he was one of the principals of Colonial Realty, which was involved in what is arguably the biggest Ponzi scheme of the time (until Bernie Madoff) and probably of all time here in Connecticut. Dr. Candelori emerged from the scandal with a felony conviction of “tax evasion” for failing to report hundreds of thousands of dollars in personal income and he was also barred by the Securities and Exchange Commission from associating with anyone involved in the securities or investment business. It was common knowledge at the time that the chairman, whomsoever that would be, would hold a position to oversee the more than $100 million renovations to the plant. However, council Democrats apparently didn’t share that concern for someone who would control over $100 million in taxpayer dollars. Led by Michael Trueworthy and his sidekick Phil Sherwood, they went on what could be described as a crusade to defend Mr. Candelori and in December 2009 they led the override of the mayor's veto of this appointment on a purely partisan vote (4 Republicans voted to sustain the veto, while 11 Democrats voted to override the veto--thereby appointing Candelori). So now you have it, a convicted felon put into such a position of trust by council Democrats, and he is currently delinquent on 3 years worth of property taxes. Alderman Rha-Sheen Brown of the New Britain Common Council makes the list of tax delinquents with his DBA known as “The Holy Ground Entertainment." According to the records of the tax collector’s office, under this trade name, Mr. Brown reportedly owes 5 years of back taxes for personal property taxes for the years of 2003 through 2007 amounting to a total delinquency of $386.87. 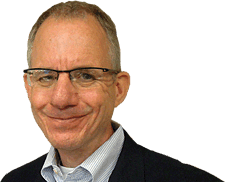 Pete Steele, a long time resident of New Britain, recently announced that he will be running for Tim O’Brien’s vacated seat, that Rep Lopes won for the interim period that was left in O'Brien's term, in the State Legislator. 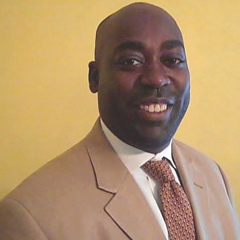 Steele has worked hard for New Britain serving on the Park and Recreations Commission, in the New Britain Housing Authority, the New Britain HRA, a member of the New Britain Police Athletic League, and on two separate charter revision commissions. Peter should replace Lopes since Lopes was the person caught on camera while riffling through the Republicans legislative desks' in order to obtain information for the Democrats to use against the Republicans. 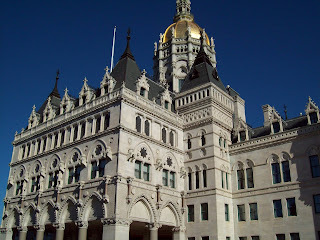 Lopes representation for New Britain is reprehensible when every city resident and voters recalls his registering his company vehicles in West Hartford to avoid New Britain's higher taxes. Peter deserves your vote in the upcoming election to serve as your state representative since he offers no deceitful mannerisms in representing New Britain's residents. 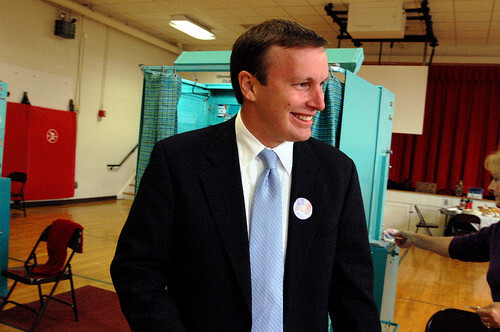 Senate Candidate & Republican Town Chairman Joins The Long List of City Tax Delinquents! For a 2008 Chrysler Sebring, $335.00 that was due July 1st, plus $15.12 interest, for a total of $351.02 including the interest for the month of September. Additionally, He serves as the secretary of the New Britain Republican Town Committee. New Britain Herald Parent Company among the List of City Tax Delinquents! 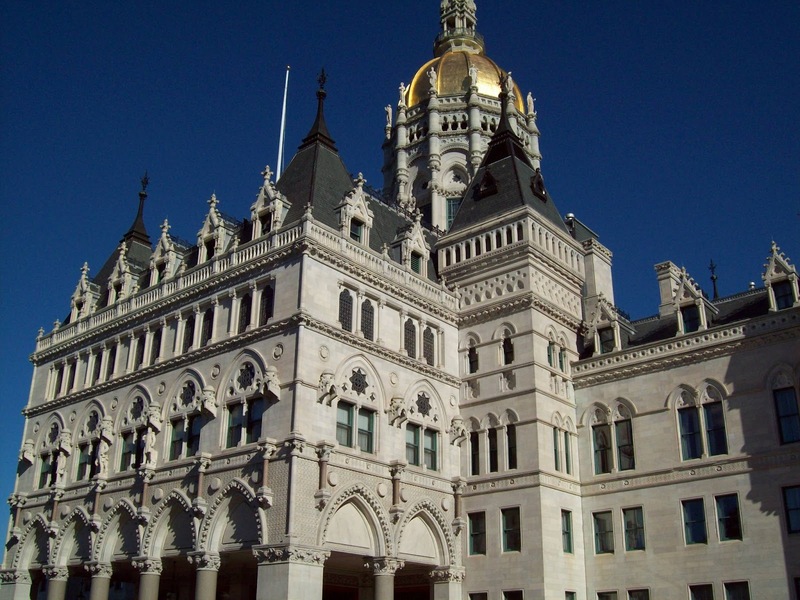 According to the records of the tax collector’s office, Central Connecticut Communications LLC is among the list of New Britain taxpayers that is delinquent on property taxes. 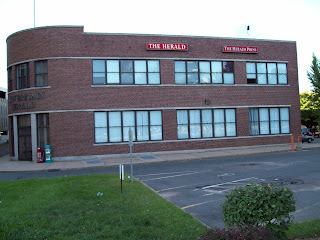 Central Connecticut Communications LLC is the parent company of the New Britain Herald and reports its managing member to be Michael Schoerder, who is also the editor and publisher of the New Britain Herald. The tax collector’s office shows that Central Connecticut Communications LLC is delinquent on motor vehicle taxes for a 2002 Chevy Cavalier for a payment of $102.56 that was due on July 1st, and for $4.62 interest for a total of $107.18 including the interest through the month of September. 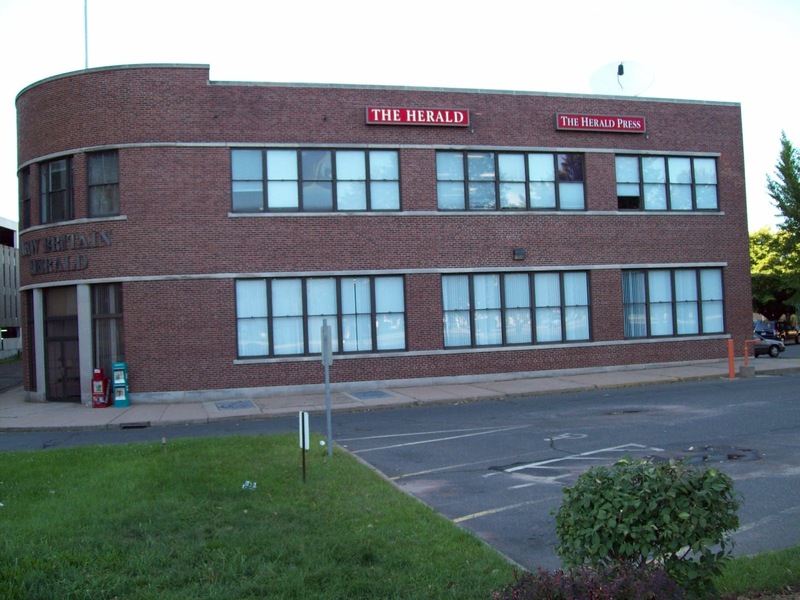 Could it be that the New Britain Herald doesn’t find it newsworthy when so many elected officials and even the publisher of one of their competing newspapers are all delinquent on their taxes because they themselves are on that same list? 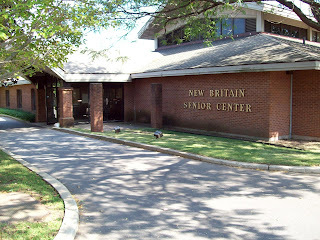 Also, after a reader posted comments on this blog concerning the New Britain Herald being incorporated in Delaware, I did investigate that report and confirmed that Central Connecticut Communications LLC, their parent company, is in fact registered as a Delaware Limited Liability Company. BRIT SPECIAL HARRIER JETS FLY-BY 'SALUTE' TO OBAMA. In case Obama didn't understand how the Brits felt when he sent the bust of Churchill back to England , a gift from the English during the Bush administration. These pilots have not forgotten Obama's disrespect for America 's friend and ally. Harrier jets' fly past (fly-bys) over Downing Street in a air show salute to Obama. It's good to see the RAF have a sense of humor. Look at it from an angle or lean back in your chair, and squint; squinting works best. Parks & Recreation Board Member, Known For His Opposition To The Costco Plan, Is Among City’s Tax Delinquents! 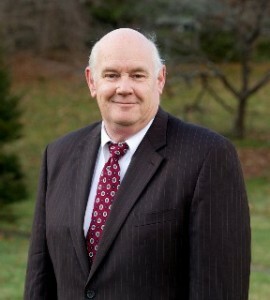 Robert Pleines, a member of the New Britain Board of Parks & Recreation is well known for his outspoken opposition to the plans to build a Costco here in New Britain. What is probably less known about Mr. Pleines, is that according to the records of the city’s tax collector, Mr. Pleines is apparently among the growing list of tax delinquents. For a 2005 Toyota Camry, $301.28 that was due July 1st, interest of $13.56, for a total due of $314.84. For a 1996 Buick Century, $64.10 that was also due on July 1st, interest of $2.88, for a total dues of $66.98. It would seem that a person who so strongly opposes a plan to bring a new employer to town, especially one that is estimated will pay $500,000 a year in taxes and provide 200 jobs, would be diligent about paying his own taxes, wouldn't it? MV taxes for a 1989 GMC pickup truck for 2008 and 2009--a total of $115.97. For a 1996 Audi for 2008, 2009, &2010 a total of $286.80. The tax collector’s records also report that he owes real estate taxes for a property located on Howard Street for 2010 and 2011 totaling $7,680.87. The records also indicate that the city has placed a lien on this property regarding these taxes. In all, the collector’s office shows that Mr. Paonessa owes the city a grand total of $8083.64 including the interest through the month of September. Considering this report, along with the number of city council members who are also delinquent on their taxes, it would seem that it is about time for the tax collector to utilize the 8 constables for the job that they were elected to perform by issuing tax warrants to allow these constables to start collecting some of the overdue taxes due the city. Perhaps if such an effort were put forward, the mayor would be able to close some of the budget gap that is plaguing the city and the constables would finally be allowed to perform the job that the citizens elected them to perform. Another New Britain Alderman Is Delinquent With His Taxes! Alderman J. Tobias Freeman together with his wife missed their payment for their 2011 motor vehicle tax that was due July 1, 2012. The tax due is $139.74 with an additional interest charge of $6.30 totaling $146.04 due as of Friday 9-14-12. Chicago teachers return to teaching Wednesday morning. Alderman Rolando "Roy" Centeno Chaired the Planning and Zoning Sub-Committee meeting last night. The purpose of the meeting was to hear from the public regarding Resolution 14-400, a measure that would punish property owners by among other things, requiring them to pay 5% of their rental income to the city, a tax the council was proposing to charge these landlords above and beyond the high taxes they already pay. But wouldn't the city be better off if it could just get members of the council, like last night’s chairperson, to pay their own taxes? According to the records of the New Britain Tax Collector, Mr. Centeno and his wife are delinquent on their property taxes for their home at 289 Slater Road. According to the tax collector’s files, the Centeno’s have not paid their 2011 taxes that were due on July 1, 2012 for a total due of $2,536.12—which includes interest of $109.20. The collector’s records also show that the Centeno’s are delinquent on their 2010 taxes which were due on July 1, 2011. The record shows that they owe $169.60 for their 2010 taxes—which has resulted in a lien being placed against their property by the Tax Collector. salary from the city while he continues to fail to pay his taxes. CPOA's Notice fills Council Chamber. Congratulations to CPOA's President, N. Mercier, for getting many property owners to speak on the proposed resolution after Alderman Carlo Carlozzi demanded that the people be allowed to speak because since the public hearing the document has been changed many times over. After 18 property owners spoke against this resolution with no one speaking for it. President Pro tempore Alderman Michael Trueworhty move to have the tabled resolution off the table and his motion failed. But Mr. Brooks neglected to pay his current taxes. 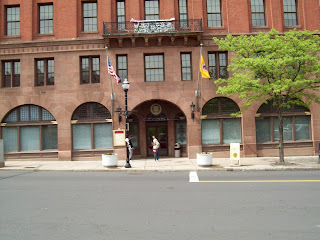 September 17, New Britain, CT – New Britain’s Common Council will be considering a new ordinance this Monday at a special meeting of the Common Council that would impose heavy restrictions on landlords, including charging them a 5% “fee” based on the rent charged. Local property owners are outraged and property and business groups are up in arms. This ordinance comes on the heels of other actions the Common Council has proposed lately that have been seen as anti-business and anti-landlord. Among these include the Fair Rent Commission which would limit a landlord’s ability to increase rent in response to additional costs and expenses and Police and Fire Hotspot Fines which would see landlords charged for excessive calls, even if the calls were in response to tenant behavior. 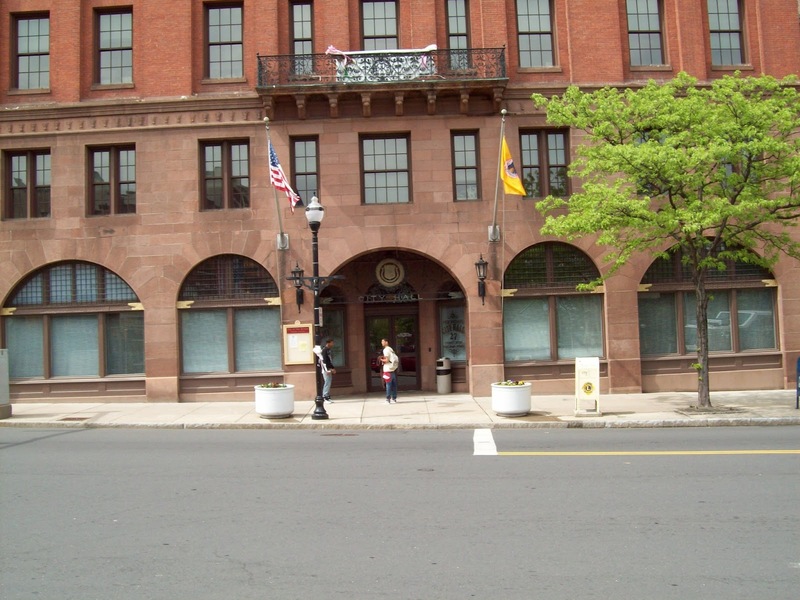 The Planning, Zoning and Housing Committee will meet in special session at 8:00PM in the Council Chambers of New Britain City Hall to discuss the ordinance. It is predicted it will then be forwarded to the as special meeting of the Common Council which is scheduled to begin at 8:05PM in the same room. This will up the FY2013 budget from $232,351,309 to $232,454,709- an increase of $103,400. This is to approve a resolution that would create the need for landlords to obtain a Residential Rental Property License. 3. Their only tenants are blood relatives. Registering will require a few things, like no back taxes owed, no blight fines owed, etc. But also Landlords must disclose anyone that has a greater than 5% interest in the property. Most importantly- a registration fee will be required YEARLY. The fee will amount to 5% of the rents charged. A bit of math: A property owner with a 3 family house that charges $700 a floor rent will be required to pay a $1260 “registration fee” on top of the taxes they already pay. And it gets worse section K states that “each licensee will be under the jurisdiction of the city fair rent commission….and shall limit rents to no more than the actual costs to maintain the rental property, plus no more than fifteen percent (15%) profit. This item was tabled Tuesday in PZ&H, after I believe a public hearing was conducted (noticed in the NB Herald on Sunday Sept 9th), so I imagine a special meeting of PZ&H will be called for Monday . This morning a friend posted a statement on a social media site which stated “I was raised. I didn't just grow up. I was taught.....” The piece went on to basically speak to manners, accountability, and responsibility. So much of this is true. There is little respect, accountability and responsibility in our society today. It is very true here in New Britain for a myriad of reasons. In April of 2011, two teenagers were apprehended by observant New Britain Police Officers in the act of defacing both private and public property with spray paint. They “tagged” multiple buildings with the letters “CAP”. Their work stands today on Curtis and Myrtle Streets. It has not been removed a year and a half later, even though we know and proved who did it. Superintendent of Schools Kelt Cooper has spoken to a lack of parenting and also on the lack of accountability of students. This is extremely obvious to us all and needs a solution. Mr. Cooper spoke to possible fines and I applaud him for his immediate identification of the issue, but more so for him proposing a community so I propose a different solution: a community court where punishment is service in the public eye. For certain offenses (e.g. truancy; damage/destruction of private and public property; lack of parental engagement and effort; quality of life issues; etc); a party would appear before a community court for community based adjudication. Punishment would be to don a bright colored vest, and do a certain amount of supervised community work (pick up trash, clean spray paint, etc) as deemed appropriate by the court. In addition to educating through service, the bright vests just might have a deterrent value to others observing the work and perceived embarrassment. In my opinion, this would be a voluntary court that would educate through the planting of seeds of accountability and responsibility. Upon completion of the community service, the record would be expunged after a period of time if no further offenses were committed. Hopefully the offender learned from their mistake and has moved forward as a productive member of society. Should the offender not wish to take the community court route, or fail in the execution of their assigned wake up call duties; they would move to the criminal system and hopefully be punished and their record published. Are You Losing Your Freedoms In Obamaville? US orders all family members and non-essential staff to leave its embassies in Tunis and Khartoum. Park & Recreation Commission Approvals. During their recent meeting the park Commission has approved Costco's original plan commonly known as Plan "A" , which included the tunneling underneath the road way in order for the golfers to play the additional three or four golf holes. Plan "B" was given up by the Costco representatives due to the impossible task of their obtaining the wet lands approval from the DOT state agency. receiving funds for three years! Forward this if you agree! The NRZ meeting had vague ideas for this property with most comments recommending a community center. New Video Asks Jewish Voters: Is This Still Your Democratic Party, Or Obama's? Sec. 7-148b. Creation of fair rent commission. Powers. (a) Except as provided in subsection (c) of this section, any town, city or borough may, through its legislative body, create a fair rent commission to make studies and investigations, conduct hearings and receive complaints relative to rental charges on housing accommodations, except those accommodations rented on a seasonal basis, within its jurisdiction, which term shall include mobile manufactured homes and mobile manufactured home park lots, in order to control and eliminate excessive rental charges on such accommodations, and to carry out the provisions of sections 7-148b to 7-148f, inclusive, section 47a-20 and subsection (b) of section 47a-23c. The commission, for such purposes, may compel the attendance of persons at hearings, issue subpoenas and administer oaths, issue orders and continue, review, amend, terminate or suspend any of its orders and decisions. The commission may be empowered to retain legal counsel to advise it. (b) For purposes of subsection (a) of this section, "seasonal basis" means housing accommodations rented for a period or periods aggregating not more than one hundred twenty days in any one calendar year. (c) Any town, city or borough in which the number of renter-occupied dwelling units is greater than five thousand, as determined by the most recent decennial census, and which does not have a fair rent commission on October 1, 1989, shall, on or before June 1, 1990, conduct a public hearing or public hearings and decide by majority vote of its legislative body whether to create a fair rent commission as provided in subsection (a) of this section. Any such town, city or borough which fails to act pursuant to the requirements of this subsection shall, not later than June 1, 1991, create such fair rent commission. (d) Any two or more towns, cities or boroughs not subject to the requirements of subsection (c) of this section may, through their legislative bodies, create a joint fair rent commission. History: 1971 act specified applicability to housing accommodations rather than "property", including mobile homes and lots and excluding seasonal accommodations which were defined in new Subsec. (b); 1972 act added power to carry out provisions of Secs. 7-148b to 7-148e, to issue, amend, terminate, etc. orders and to retain legal counsel; P.A. 81-472 substituted reference to Sec. 47a-20 for reference to Sec. 19-375a, reflecting section's transfer; P.A. 82-356 amended Subsec. (a) to authorize a fair rent commission to carry out the provisions of Sec. 47a-23c(b); June Sp. Sess. P.A. 83-3 changed terms "mobile home" and "mobile manufactured homes" to "mobile manufactured home" and "mobile manufactured homes"; P.A. 89-289 added Subsec. (c) re creation of fair rent commissions in municipalities having more than 5,000 renter-occupied dwelling units and added Subsec. (d) re creation of joint fair rent commissions; P.A. 05-288 made a technical change in Subsecs. (a), (b) and (d), effective July 13, 2005. Sec. 7-148c. Considerations in determining rental charge to be excessive. In determining whether a rental charge or a proposed increase in a rental charge is so excessive, with due regard to all the circumstances, as to be harsh and unconscionable, a fair rent commission shall consider such of the following circumstances as are applicable to the type of accommodation: (1) The rents charged for the same number of rooms in other housing accommodations in the same and in other areas of the municipality; (2) the sanitary conditions existing in the housing accommodations in question; (3) the number of bathtubs or showers, flush water closets, kitchen sinks and lavatory basins available to the occupants thereof; (4) services, furniture, furnishings and equipment supplied therein; (5) the size and number of bedrooms contained therein; (6) repairs necessary to make such accommodations reasonably livable for the occupants accommodated therein; (7) the amount of taxes and overhead expenses, including debt service, thereof; (8) whether the accommodations are in compliance with the ordinances of the municipality and the general statutes relating to health and safety; (9) the income of the petitioner and the availability of accommodations; (10) the availability of utilities; (11) damages done to the premises by the tenant, caused by other than ordinary wear and tear; (12) the amount and frequency of increases in rental charges; (13) whether, and the extent to which, the income from an increase in rental charges has been or will be reinvested in improvements to the accommodations. (1969, P.A. 274, S. 2; 1971, P.A. 478, S. 2; 1972, P.A. 160, S. 2; P.A. 82-356, S. 9, 14; P.A. 83-25. )History: 1971 act added availability of utilities in considerations concerning rental charges; 1972 act included consideration of damage caused by tenant exclusive of ordinary wear and tear; P.A. 82-356 allowed a commission to determine if "a proposed increase in a rental charge" is excessive and added Subdivs. (12) and (13) as additional criteria for a commission to consider; P.A. 83-25 amended Subdiv. (7) by adding the words "including debt service". Sec. 7-148d. Order for limitation on amount of rent. Suspension of rent payments. Cease and desist orders for retaliatory actions. (a) If a commission determines, after a hearing, that the rental charge or proposed increase in the rental charge for any housing accommodation is so excessive, based on the standards and criteria set forth in section 7-148c, as to be harsh and unconscionable, it may order that the rent be limited to such an amount as it determines to be fair and equitable. If a commission determines, after a hearing, that the housing accommodation in question fails to comply with any municipal ordinance or state statute or regulation relating to health and safety, it may order the suspension of further payment of rent by the tenant until such time as the landlord makes the necessary changes, repairs or installations so as to bring such housing accommodation into compliance with such ordinance, statute or regulation. The rent during said period shall be paid to the commission to be held in escrow subject to ordinances or provisions adopted by the town, city or borough. (b) If the commission determines, after a hearing, that a landlord has retaliated in any manner against a tenant because the tenant has complained to the commission, the commission may order the landlord to cease and desist from such conduct. History: P.A. 82-356 reflected the change that a commission may examine a rental charge or "proposed increase in a rental charge" and replaced the authorization to order "a reduction in" rent with authorization to order that the rent "be limited" to a fair and equitable amount; P.A. 83-425 added Subsec. (b) concerning issuance of cease and desist orders for retaliatory actions. Sec. 7-148e. Appeal. 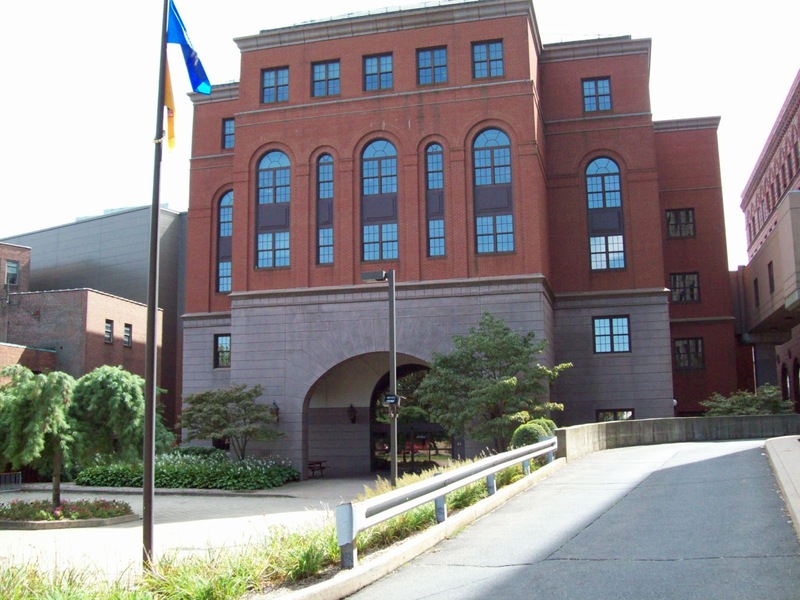 Any person aggrieved by any order of the commission may appeal to the superior court for the judicial district in which the town, city or borough is located. Any such appeal shall be considered a privileged matter with respect to the order of trial. History: P.A. 76-436 substituted superior court for court of common pleas and added reference to judicial district, effective July 1, 1978; P.A. 78-280 deleted reference to county. Sec. 7-148f. Penalty for violations. Any person who violates any order of rent reduction or rent suspension by demanding, accepting or receiving an amount in excess thereof while such order remains in effect, and no appeal pursuant to section 7-148e is pending, or violates any other provision of sections 7-148b to 7-148e, inclusive, and section 47a-20, or who refuses to obey any subpoena, order or decision of a commission pursuant thereto, shall be fined not less than twenty-five dollars nor more than one hundred dollars for each offense. If such offense continues for more than five days, it shall constitute a new offense for each day it continues to exist thereafter. New Britain Landlords Are Not Wanted By The So Called Socialists of the City Council. Certainly, a very bad move by the New Britain Common Council with their establishing a Fair Rent Commission. With my attending the sub-committee of the common council where this issue was discussed at length by the Alderman proposing this resolution, Alderman Emanuel Sanchez, citing this commission is needed for a tenant who experiences a lower income to prevent his landlord from raising his rent with his going to the commission for protection/ mediation. He also indicated everyone deserves a place to live making it the responsibility of the landlords to allow a tenant to not pay a fair rent, if he can't afford it. The Alderman continued by stating we should leave for the market driven alone and not have the city determined, via this proposed commission, what is harsh and unconscious able rent. Amazingly, during last evening's common council meeting three Alderman voted against the proposal after they heard the proposal will only protect bad tenants. Carlozzi did mentioned with his asking, the council membership, have you ever seen a landlord break his windows? Alluding that a bad tenant may do so in order to be able to file a complaint with the Fair Rent Commission. "Landlords are doomed in this City." THE WHITE HOUSE DOESN'T WANT YOU TO READ IT, BECUASE IF YOU DO, HE COULD LOSE HIS RE-ELECTION. "right" and Liberals are called the "left." Governor informs little information to mayor of his Bridgetwater giveaway plans. PROPOSAL KICKS GRANDMA OUT OF THE SENIOR CENTER! 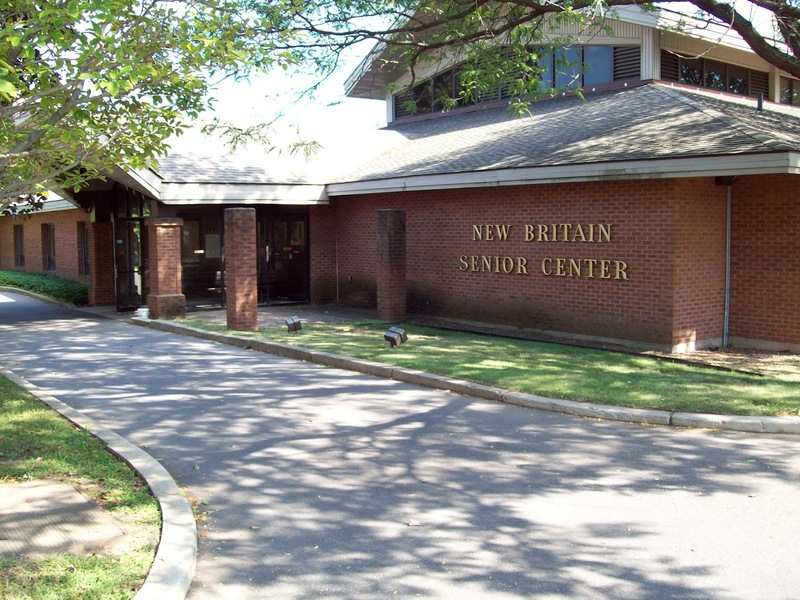 The Proposed move of the Children and Families department from City Hall into New Britain's Senior Center is raising a lot of concerns by the center's seniors. This proposal includes the taken over many rooms within the center as follows: The Massachusetts, Vermont, and Maine rooms also including rooms 1, 5,7, and 6. In addition, one half of the waiting area. at the front entrance of the center is included within this proposal. Many of the activities, that have been provided by the center for the elderly in the past, may have to be curtailed in order to accommodate this unusual takeover of the center such as Dancing, pottery, art work, Bingo and many other social events . Control of the youngster's behavioral mannerisms will be problematic and left to one's imagination. Seniors, should contact their Common Council representatives, for their help in avoiding this takeover proposal. Jesus told Peter [ judas] you will deny me three times and amazingly, was denied three times again by the Democratic party, at their convention last week. Noonan: The Democrats' Soft Extremism Obama is out of ideas, and Clinton's speech was unworthy of him. failed to go to the D-Day Monument that honors the soldiers killed during the Invasion. Be Careful what you Vote for, Your rights can be eliminated next. the fallen soldiers killed on D-Day. Force 1 to California to raise funds for the upcoming election. Recently, while I was working in the flower beds in the front yard, my neighbors stopped to chat as they returned home from walking their dog. During our friendly conversation, I asked their little girl what she wanted to be when she grows up. She said she wanted to be President some day. Both of her parents, liberal Democrats, were standing there, so I asked her, "If you were President what would be the first thing you would do?" She replied... "I'd give food and houses to all the homeless people." Her parents beamed with pride! "Wow...what a worthy goal!" I said. "But you don't have to wait until you're President to do that!" I told her. "What do you mean?" she replied. So I told her, "You can come over to my house and mow the lawn, pull weeds, and trim my hedge, and I'll pay you $50. Then you can go over to the grocery store where the homeless guy hangs out and give him the $50 to use toward food and a new house." She thought that over for a few seconds...then she looked me straight in the eye and asked, "Why doesn't the homeless guy come over and do the work, and you can just pay him the $50?" I said, "Welcome to the Republican Party." "The last time I spoke at a convention I was in the wrong place... America's the land of second chances and maybe in this close race you have room for the 6 million of us who got it wrong in 2008 and want to fix it. Maybe we should have known that things that begin with Styrofoam Greek columns and artificial smoke don't end well..."
Debbie Whatshername Schultz Declares There is a God……. The Message of the Democratic Party? I am tired of the message being that if you are a God fearing heterosexual male, you don't have a criminal record, and you happen to make six figures, you are the scum of the earth. The Seals Have Done Thier Job and now we have to do OURS by VOTING Obama OUT! Obama's Dream From His Father: America Must Be Downsized To Pay For The Sins of Colonialism. Our Forefathers Had Their Own Dream For America. Which Dream Will We Carry Into 2016? CLICK HERE To Find "2016 The Movie" in a theater near you! Who built things for you Obama? If Apple makes robots, will robots have rights? There has been a conspicuous and palpable absence of information coming out of city hall, information that is important to NB citizens. The newspapers are no help. Let me offer some examples. NB citizens have been told there are various estimates of a structural deficit. The most recent being that we in NB are faced with a #30 Million deficit. What happened to this deficit? I have some questions. Will property revaluations have to be done again? If yes, who will pay? If no, will NB get a waiver as to when to apply the new figures? I predict that the revaluation plus the largesse distributed by O’Brien to some will result in a hefty mill rate increase. Don’t count on the newspapers to give you any information, Sherwood has that covered. And don’t count on the Common Council to tell you anything - they’re also muzzled. More questions. Reorganization. O’Brien and Sherwood have touted their plan as saving $ Millions. Really? All those that have interim or acting appointments as department heads or directors have received, on average, a $25 K raise, some, more. It is rumored that the Public Works Director wants a $4O K raise due to increased responsibilities. The former Finance Director was never fired and has been receiving a full salary for doing nothing but keeping his mouth shut. Department of Municipal Dev. This Dept. is no more. Its functions have been spread over many departments. This department paid $51 to $53 K/per year to City Hall for its offices in city hall because MANY OF ITS FUNCTIONS are Fed. related. What happened to the $53 K in rent. Also, what about the $47 K being paid to Mrs. Brown, Police Commissioner and, wife of Alderman Brown for her new Community Organizers' job? Is there a conflict of interest here? HMMM! It’s time to contact the State Office of HUD ! Add to all of this that many that have taken early retirement have been called back part time to help because nobody knows how to do their job - case in point, Common Council secretary and clerk of Committees. What do you think? More to come. THE MYSTERY BEHIND THE NEW BRITAIN HERALD'S INSERTS! For the last two weeks, The New Britain Herald has been including an insert of the New Britain Hardware City Journal, with their Friday editions. Many have pondered the reason behind the Herald's motives to expand with this known nonsense type of reporting that includes Mayor O'Brien's picture in every edition. Making everyone consider if the editor of this paper is truly Phil Sherwood, since week after week, it carries the mayor's dialog as though the mayor has written each article himself. I personally have been purchasing my Herald at the local newsstands but, will reconsider to avoid this disbursement in the future. Mostly everyone, I have talked with regarding this issue, have pointed out to me of the Herald's reporting style leaves a lot to be desired. With their liberal stance on major issues, facing the City of New Britain, by their reporting only the Democrat's viewpoints on most occasions. Could it be that the Herald is placing the weekly inserts in support of the Mayor's re-election bid? One could only wonder this astonishment behind it all. I will continue to read THE NEW BRITAIN CITY JOURNAL, since its coverage, reports the New Britain News accurately by its only editor Ms. Vinci. China Agrees with Clint that Obama is an empty chair! they are insured... but not everyone must prove they are a citizen." insurance because they are citizens." Number of Republicans Reaches Record High! Fed Banking and How Safe Are Your Valuables? A MOVIE YOU ALL MUST SEE BEFORE VOTING FOR PRESIDENT IN 96 DAYS.